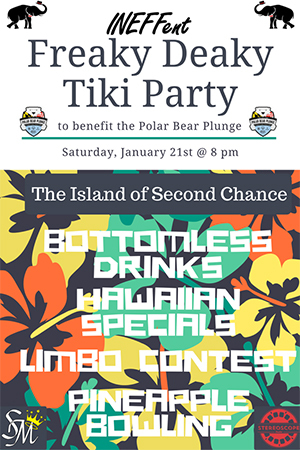 Fundraising event for the Polar Bear Plunge. All you drink, food specials, ice luge, live music, and more. Presented by INEFFent.